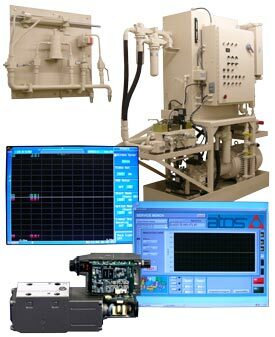 Our dedicated hydraulic servo and proportional valve test stand quickly tests and calibrates your valves on-board electronics. Dedicated servo valve test room with oscilloscope and feedback software that allows us to calibrate and test valves with and without on-board electronics (OBE). Calibration software allows us to save your valves settings and profile for future reference. We can even setup your new valves before we ship them so you don’t have to set them yourself. Advanced Fluid Systems is the only authorized Moog valve repair distributor (including Atchley and Pegasus Moog Valves) for the Mid-Atlantic and New England region. Note: Moog does not sell parts for their hydraulic servo valves. All service work is performed by Moog’s service department in East Aurora, NY. All valve repairs are tested to the manufacturer’s specifications and calibrated per your request.